Greenbuds Baby, a retailer in the business of providing organic baby bedding, states that organic bedding may lead to a decrease in childhood allergies. 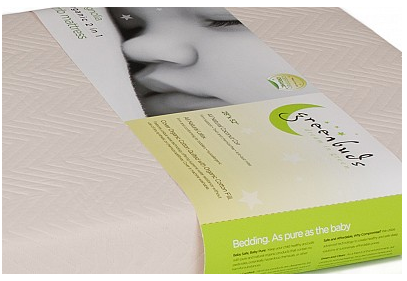 Bountiful, UT, June 22, 2015	(Newswire.com) - Greenbuds Baby, suppliers of organic, all-natural baby mattresses and bedding, comment on links between a decrease in childhood allergies and their range of mattresses, sheets, and pillows. Founded by Miriam Mendel, Greenbuds produces baby bedding with natural materials for all budgets. When the couple was expecting their son, they struggled to find a cost-effective organic crib mattress – and so created the company to give all parents, regardless of their financial status, access to all-natural mattresses. Organic crib mattresses feature no fire-retardant chemicals or synthetically-processed materials which have been soaked in strong chemicals or bleach. Toxins used in standard mattresses give off chemical emissions – which only become stronger over time – and as these spread throughout the room, they further contaminate the baby's environment. Some childhood disorders have been linked to these directly. New Zealand chemist and forensic scientist, Dr. T. James Spott, conducted a study in 1996 (based on research undertaken by Barry Richardson, a British scientist). In an examination of 200 mattresses used by babies who had passed away from SIDS, all carried chemicals (with 95% of them also used by other babies beforehand). Dr. Spott concluded that the prime cause of SIDS was the inhalation of noxious fumes contained within mattresses, with babies becoming poisoned accidentally. Unlike standard mattresses, Greenbuds' organic products are entirely free of these chemicals, and cause no allergic reactions or respiratory problems. Greenbuds is dedicated to making their crib mattresses and baby bedding as safe and comfortable as possible, with Dunlop Processed Latex offering buoyant cushioning and support for proper spinal alignment. Their mattresses are also moisture-resistant, which means the baby's saliva and urine will not be absorbed – preventing harmful bacteria from growing inside. When Sam & Miriam Mendel were expecting the birth of their son, they discovered just how hard it was to find high-quality organic bedding to suit a modest budget. To make life easier for other parents, they established Greenbuds – a company dedicated to providing organic baby mattresses and bedding at affordable prices.